Selling a company is three parts art, seven parts science with a little sprinkle of luck, but it is 100 percent process oriented. It is critical to begin with strategic planning to posture the company in its best operational and financial light. Sellers commonly fail to consider exit strategies when things are going well for their company, and tend not to focus on an exit strategy or transfer process until an unforeseen external event triggers an awakening or they decide to retire or reach burn-out. Knowledgeable sellers understand that to exert control over internal forces (employees, accounting and operational processes) and external forces (economic turbulence, industry downturn, changing competition, illness, etc.) they must clearly examine all aspects of their business, define their personal goals and objectives, and begin exit preparation yesterday. A transaction has three characters; a seller, a buyer and a financing source. Sellers should take a critical look at their company from the prospective buyer’s or lender’s viewpoint. If sellers manage their company with an “End in Mind” decision-making outlook, then they will always be in a continuous process of preparing their company for sale. How do sellers begin to define their goals and objectives? Sellers must delineate specific objectives for financial goals (liquidity, sale price, taxation/estate planning) and non-financial goals (succession, legacy and reputation, employee, stakeholder concerns and other special interests). Decision-making questions include: To whom do I want to sell/transfer the business (family, financial investors or competitors)? How long, post-closing, do I want to be involved? Do I want to accept some upside/risk? Are there employees or others whom I want to protect/reward? What is my after-sale tax position? What are my financial alternatives post closings? Sellers should not try planning their exit strategy alone. Running a company is a full-time job. Sellers shouldn’t take their eye of the ball. Sellers should assemble their advisory team early in the exit-strategy planning process and clearly communicate their exit goals and objectives. Sellers must listen to their advisors’ advice, understand their options and implement the agreed upon suggestions. Advisors who must be in position early in the planning process include: certified public accountant, transactional attorney, financial advisor, merger and acquisition advisor. A prerequisite of a comprehensive exit plan is to understand the current market value range of the company. A comparison of market value to the seller’s financial objectives will indicate if the right time to exit is now. If market value is too low a seller needs to contemplate how they will increase their company’s value. Deal structuring, tax structuring and financial engineering can significantly impact the seller’s transactional proceeds. Sellers that understand the implications of transaction structuring alternatives will be prepared when they elect to take their company to market. “Buyers analyze the past but buy the future”. A persuasive growth strategy is a key element of exit planning. In a sale, to maximize the transactional value of a company, sellers must provide potential buyers with a compelling story of future growth opportunities and profitability. Sellers should develop a credible set of detailed financial projections and key operational drivers for the next three to five years which will, in part, define the buyer’s perception of the company’s future and management’s ability to deliver. Evaluating the company’s current corporate structure. Eliminating personal expenses and over generous benefits to friends and family. Taking any necessary “write downs” for uncollectable accounts receivable (A/R) or unusable inventory. Eliminating any unrelated “side” activities intermixed with the company. Maintaining an accurate inventory and current inventory value. Understanding the company’s key performance indicators and how they compare in the industry. Improving the quality of earnings. Owners who have prepared their exit strategy will begin the marketing of their company in a position of strength. Clear goals and objectives will place the seller in the optimal position to negotiate favorable price and terms, or, if necessary, to walk away. Janae Chamblee, CPA, BCB, CBI, is a Director of the TSCPA and the Dallas CPA Society. 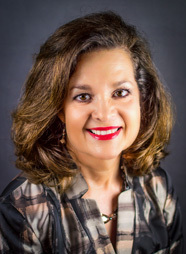 As the owner of First Business Resources, Inc.*, a merger and acquisition services company, Janae has twenty years of experience in providing hands-on guidance to her clients in helping them buy or sell their company.